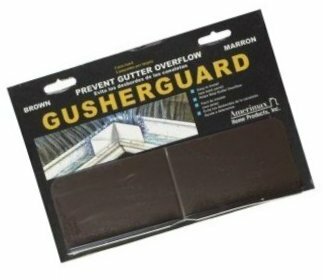 Gusher Guard prevents gutters from overflowing with water at the valleys. 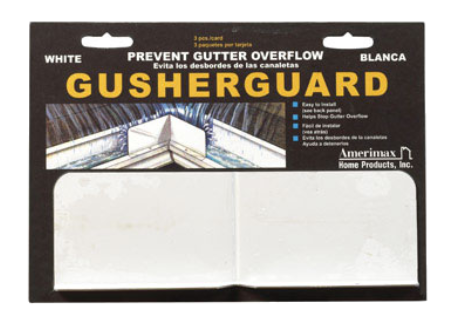 Gusher Guard is made from aluminum. Gusher Guard is used on and for aluminum gutters. 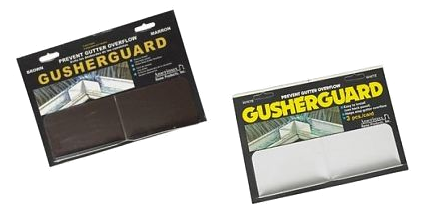 Gusher Guard is available in White and Brown. Fasteners are not included. Gusher Guards are sold 3 per package.